The purpose and focus of this team is to create a comfortable environment for guests by providing quality refreshments while interacting with each guest that approaches the lobby area. 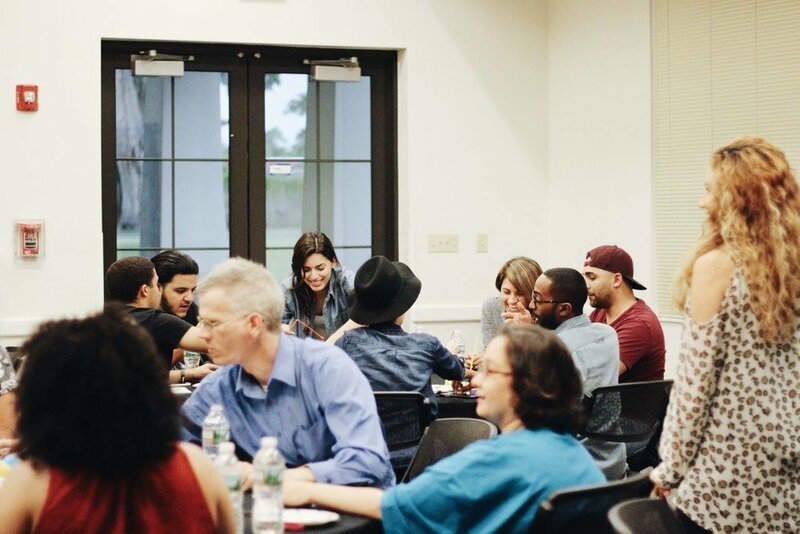 Our desire is to make church a place that amplifies the warmth of Journey Church. This team is designed to help the next generation grow in their faith, their character, and their relationships through services, small groups, and mission trips. We don’t have church without this amazing group of people. This team facilitates the worship experience by setting up\taking down before\after every service. Our team facilitates serving opportunities through Serve Saturday projects and other outreach expressions. This team of trained intercessors covers the weekend and midweek services in prayer, preparing the way for the Lord. The team will also pray for people one on one and partake in daily praying for the needs of others. This team is trained to facilitate small groups and equipped to build relationships while helping group members discover their next steps. This team loves people and makes them feel at home at Journey. They welcome guests in the parking lot, courtyard, and at the door with a smile. These teams intentionally invest in the lives of our children through worship, videos, small groups, games, and more. We serve children in 4 areas: Nursery, Pre-K, Elementary, and Kids Check-In. Our Check-In team welcomes families and facilitates the process that ensures children are cared for effectively and efficiently. This team uses the gift of giving to serve the church. Through strategic financial offerings above their tithe, they support projects that impact our cities, state, nation and world. This team hosts our Next Steps track by greeting guests and providing materials and assistance throughout the four steps of Next Steps. This team also prepares for and hosts the Journey baptism experience. This team hosts our Dream Team members in Dream Team Central by providing food and encouragement during services and special events. Would you like to have a conversation about which team to join? What team(s) are you interested in?